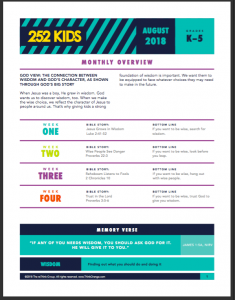 Here in Father’s Vineyard Kids Theater, a new month means a new series! This month our theme is The Hunt: Wisdom is Worth Searching For. This series defines wisdom as finding out what you should do and doing it. Our key verse for the month is James 1:5a, “If any of you needs wisdom, you should ask God for it. He will give it to you” (NIRV). Check out the resources below for a deeper look at what we’re learning this month!